SYDNEY SYMPHONY 2009 Season. 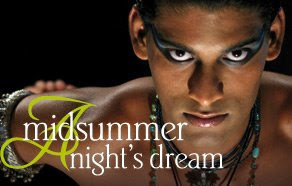 ENERGY AUSTRALIA MASTER SERIES: A MIDSUMMER NIGHT’S DREAM. Overture and incidental music for Shakespeare’s play by Felix Mendelssohn. Text abridged by Tim Carroll. This concert is a celebration of “the opening of the concert season for 2009… the beginning of the formal relationship between Vladimir Ashkenazy and the Symphony” and the birth of Felix Mendelssohn, two hundred years ago, in 1809. This is certainly a gentle novelty, wafting Mr Ashkenazy delightfully into his new role for the Sydney Symphony and his and their audiences at the end of summer in 2009. Tim Carroll has abridged and directed this great play and cast it with 8 actors playing multiple roles, cleverly moving the actors through the orchestra floor plan, utilizing the choir stalls and interpolating the conductor himself into a speaking role. (Respectably amusing!!) 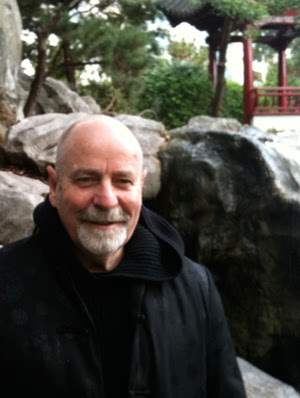 The actor’s voices are “miked“ and there is quite an initial adjustment to hearing needed in the early part of the performance, as the technical engineers attempted to find a balance for the textual work. I may be wrong, but either I got used to it or else it was manipulated to a better quality as the evening went on. Most of the actors are well cast. Heather Mitchell especially beautiful and moving as Titania. The level of the sexuality and heat of the Fairy Queen’s personality through the skillful use of vocal range and tempo management in her handling of Shakespeare’s poetry was thrilling in that big space, the Concert Hall. Matthew Walker in a delightful double-contrast as the fresh and passionate lover, Lysander and then the deeply restrained and then moving rendition of Flute, particularly as Thisbe in the mechanical's hilarious play at the end. Nathan Lovejoy doubling as Demetrius similarly brings passionate earnestness to his role as a lover, and then a contrasting restlessly wicked and inventive sense of humour to his Starveling - (Never for me was the “This is my dog” more cunningly conceived to evoke laughter.) The comic boon in the play, is, of course, Bottom, and Alan Dukes scores impressively with a delicately wise reading of the role. He is very satisfying and genuinely funny in what often can tip into vulgar coarseness. The other performers, Pip Miller, Elena Pavli, Ryan Hayward and Annie Maynard are all clear in their text work although sometimes there was an overcareful enunciation of the language for clarity’s sake at the expense of transporting ownership. Ms Maynard especially had a sound that was not useful to the "beauty" of the text. The witty costumes and economical adjustments to facilitate the multiple role play changes deserves mention. Hence: Costume design, Jenny Tiramani. Vladimir Ashkenazy seemed comfortable and genuinely at home with the relative secondary role of conductor to his orchestra at this event. Similarly the orchestra members were in pleasant good humour to the usurping of their platform to the actors. Certainly there was an end of holiday feel about the temperament of the playing. It was warm and affectionate as well as attentive. The two soloists, Penelope Mills and Sian Pendry and the Ladies of the Sydney Philharmonia Choirs were pertinently attractive to the aural gifts of the piece. Felix Mendelssohn wrote the famous Overture at the age of seventeen and then reworked the material and extended it to incidental music “for a royal command performance of the play in Potsdam, which was premiered on 18th October 1843.” Directed by Ludwick Tieck (a famous German translator of the English texts, in the Romantic German tradition, along with Schegel). The overture is probably as familiar to the great general public as “the path of true love never did run smooth” is familiar as an oft-used vernacular quote from the play. The Wedding March, of course, even more embedded in our cultural baggage. It was, it seemed to me, for the audience, a surprising entry to their concert season, but one, which by the applause at the end of the concert, that was well appreciated. Gently permissive. Next week back to real business with the Shostakovitch and Dvorak Concert. My appetite has been whetted. Playing now until 28 February. Book online or call 02 8215 4600.